The rockstar chef phenomenon has been growing ever since Jamie Oliver started spruiking “pukka tucker” on the television, but Australia’s celebrity cook obsession reached a new level this week with two of Britain's most famous food personalities selling out venues across the country with their words. “Domestic goddess” Nigella Lawson, author of 11 recipe books and host of various BBC cooking programs, will speak about her culinary experiences to a sold-out Sydney Opera House this weekend. 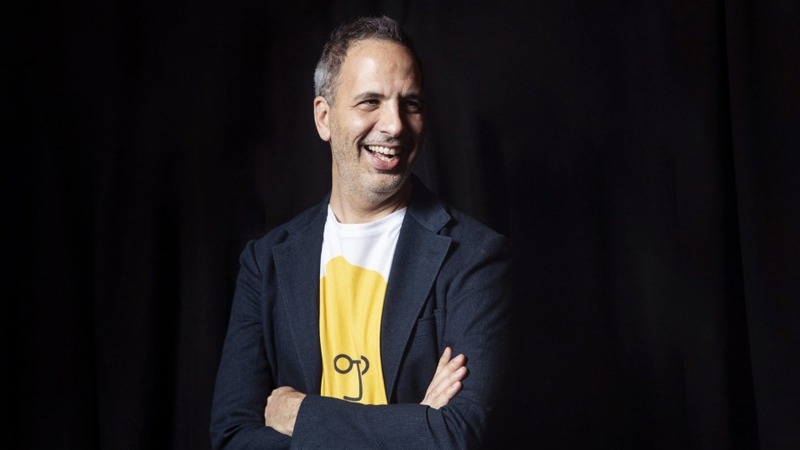 Meanwhile, food lovers packed Melbourne Town Hall on Friday night to hear London-based Yotam Ottolenghi discuss his Israeli heritage and love of vegetables. 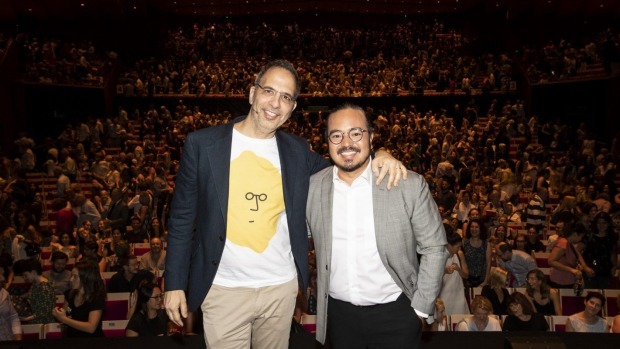 Ottolenghi also spoke to 2500 people (the chef’s largest audience ever) at a sold-out Sydney Opera House show on Tuesday. Ottolenghi and Lawson have sold almost 25,000 tickets combined for their criss-crossing Australian tours. Lawson’s fortnight-long Australian tour reaches Melbourne next Saturday (after dates in Canberra and Hobart) with back-to-back shows at Hamer Hall. Brisbane welcomes the home-cooking queen on February 10. There is no on-stage cooking at the events, only conversation and questions from the audience. The appeal is due to Ottolenghi and Lawson’s celebrity status, said Associate Professor Francois Carrillat of the University of Technology Sydney Business School. Ottolenghi is promoting his new book, Simple, which has sold 100,000 copies in Australia since it was published in September. It was the only cookbook to crack the non-fiction summer bestseller list. According to Nielsen BookScan data, Lawson has sold more than 375,000 books in Australia across all her titles. This weekend's Opera House event will be the third time Lawson has spoken in the concert hall. Food writer Jill Dupleix said the chefs are hugely popular in Australia because “in one way, we are predisposed to fall for them”. “They are the next in a long line of British-based authors we have loved since the 1960s, from Elizabeth David and Robert Carrier to Rick Stein and Jamie Oliver,” she said. “Their food is expansive, generous, abundant and colourful. It speaks our language. We like and understand their mix of cuisines, their use of spice, grains and chillies. It’s what we are used to - Asian noodles one night, and Middle Eastern rice and lentils the next.